To create the day use only LBJ State Park & Historic Site, friends of then President Johnson purchased 269 acres of land located across the Pedernales River from the LBJ Ranch (now the LBJ National Historical Park). 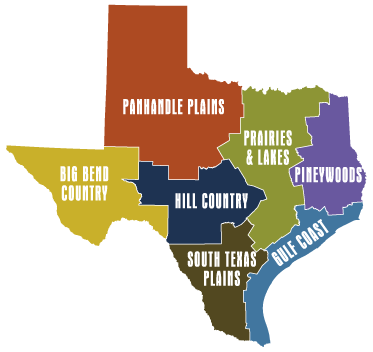 In 1965, the land was deeded to the Texas Parks & Wildlife Department and the park opened to the public in 1970. Sites of interest include the Pedernales River, the Sauer-Beckmann Living History Farm, and a portion of the Official Texas State Longhorn Herd. During the spring the park is a riot of wildflower colors. Park entrance fees apply. 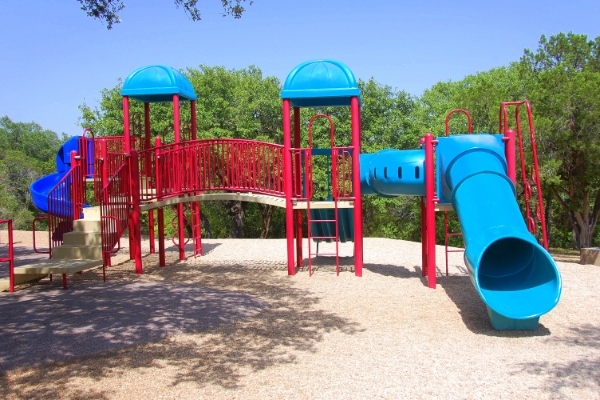 The park is located in Stonewall Texas. For more information read the Park Brochureand watch the Park Video. The LBJ National Historical Park includes the LBJ Ranch in Stonewall (called the LBJ Ranch District) and the Johnson City, Texas Historical District. The LBJ Ranch District and the Johnson City District total 674 acres. The LBJ Ranch is located on the Pedernales River. The ranch originally belonged to Lyndon Johnson’s Uncle, Clarence Martin. Johnson spent summers working on the ranch and was extremely attached to it. In 1951, Martin’s widow gave her dilapidated 250 acre ranch to Senator Johnson in exchange for lifetime rights to Lyndon Johnson’s mother’s house in Johnson City. He soon began making improvements to the newly christened “LBJ Ranch.” The LBJ Ranch and the Johnson family ranch home (Texas White House)were donated by the Johnsons to the National Park Service but the Johnsons’ retained lifetime rights to the house. Following the death of Mrs. Johnson (Lady Bird Johnson) in 1907, preparations were begun to restore the rooms to their 1963-1968 appearance so they could be opened for public tours. President Johnson’s office was opened to the public on the 100th anniversary of his birth, August 27, 2008; the living room and dining room were opened in June 2009. The bedrooms and kitchen opened in December, 2011. The ranch is managed as a working ranch; the Hereford cattle are descendants of Johnson’s herd. Visitors may take the self-guided driving tour after obtaining a free permit from the LBJ State Park Visitor Center which is located across the river from the Ranch at the LBJ State Park; the Visitor Center opens at 9am. When picking up your national park pass you will be given a map and a CD containing an audio narrative of the tour; drop the CD into the drop box as you exit the ranch. Tour tickets to the Johnson home are available from the Visitor Center located near the airplane hangar at the ranch. Group tours for 16 people or more are available by special appointment. A reservable Event Centeris located at the Johnson Historic District (Johnson Settlement) in Johnson City. Each year on the anniversary of the President’s birth a wreath laying ceremony takes place on the ranch at the Johnson family cemetery at approximately 10am; the public is invited to attend. Volunteer positions are available by calling 830) 868-7128, Ext. 222. Access to this national park is through the LBJ State Park and Historic Site. The park is located off of U.S. 290 West, 2 miles east of Stonewall.